Good afternoon, everyone! Who’s in the mood for an easy one pan recipe for… a cast iron skillet full of… gluten free and low carb… tangy-buttery-lemony-deliciousness? Everyone? 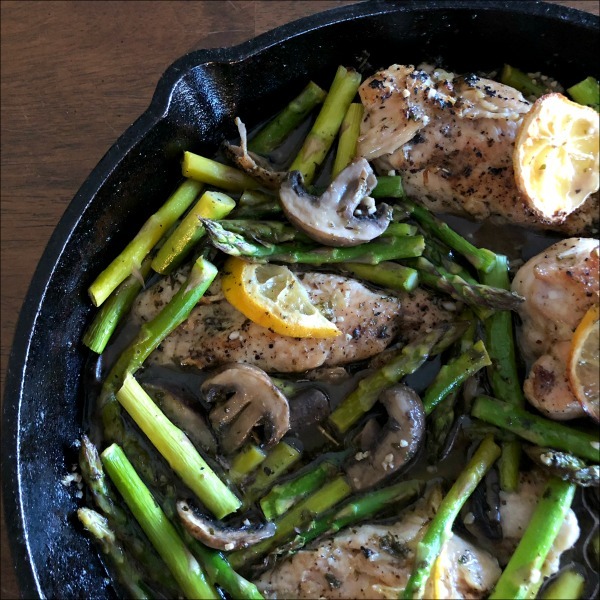 Well, this one is for you: Baked Lemon Chicken with Asparagus and Mushrooms. Asparagus has been seasonally on sale recently, so of course I had some ready and waiting in my fridge. 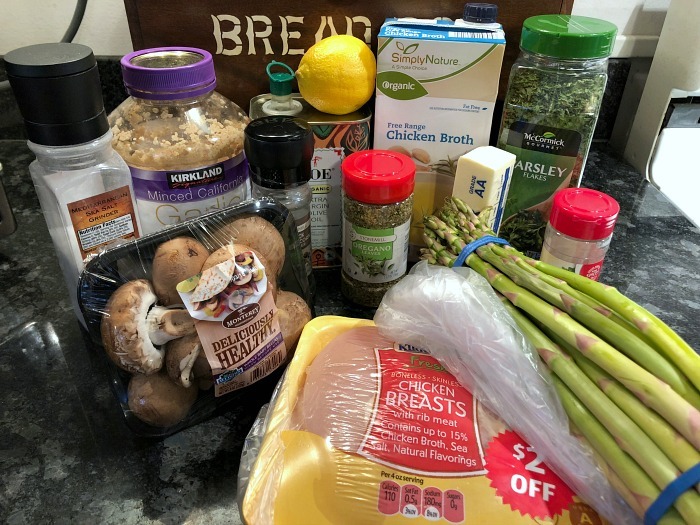 That cheap asparagus paired so beautifully in this recipe with a handy pack of clearance chicken that somehow fell into my cart earlier this week — and of course, if it’s going to be lemony and buttery, you really need to add in some mushrooms and garlic as well. Preheat oven to 400 degrees while you heat the olive oil in a 12″ cast iron skillet over medium heat until shimmering. Season the chicken with sea salt & pepper on both sides, then brown over medium heat for 4-5 minutes a side (you want it to release from the pan easily, but it won’t be cooked all the way through at this point). Remove the browned chicken to a separate plate. Reduce heat under the skillet to medium low. Add the butter to the same skillet you used for the chicken and melt it over medium-low heat, scraping up the browned bits from the bottom of the pan while it melts. Add the garlic and saute over medium-low heat just for about 30 seconds, then stir in the mushrooms. Saute for three minutes, stirring occasionally, then stir in the lemon juice, chicken broth, and spices. Turn off the heat under your pan. Add the browned chicken breast back in, and turn it over a couple times to ensure that it is nicely coated with the lemony buttery sauce. Top the chicken with lemon slices, then move the entire skillet into the oven. Bake at 400 degrees for 20 minutes. Remove the pan from the oven, stir the mushrooms, and spoon some of the pan juices over the chicken. At this point, also tuck the asparagus pieces into the skillet around the chicken. Return the pan to the oven and continue baking at 400 degrees for another 15 minutes, or until the chicken hits an internal temperature of at least 165 degrees and the asparagus is crisp-tender. Note: You’ll end up with a flavorful sauce along with your chicken and veggies here, so can optionally serve everything over cauliflower rice to keep the meal low carb — or over regular rice, if you’re not counting your carbs. Well, doesn’t this look fancy? So pretty! 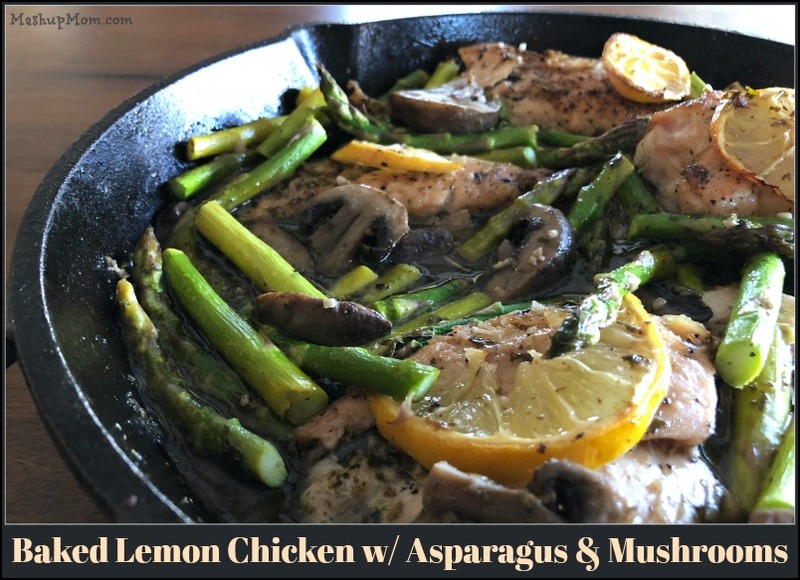 Fancy looking dinners don’t necessarily have to be difficult to prepare, and this low carb, gluten free baked lemon chicken with asparagus and mushrooms is one of those recipes that gives you maximum impact for minimal effort. Simple + elegant is our theme of the day here, and this baked lemon chicken cast iron skillet recipe works equally well as a stay-at-home date night recipe or as a satisfying weeknight family dinner. 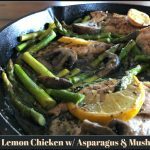 Fancy looking dinners don't necessarily have to be difficult to prepare, and this low carb, gluten free baked lemon chicken with asparagus and mushrooms is one of those recipes that gives you maximum impact for minimal effort. Preheat oven to 400 degrees while you heat the olive oil in a 12″ cast iron skillet over medium heat until shimmering. Season the chicken with sea salt & pepper on both sides, then brown over medium heat for 4-5 minutes a side (you want it to release from the pan easily, but it won't be cooked all the way through at this point). Remove the browned chicken to a separate plate. 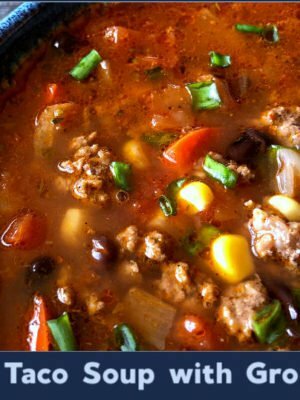 You'll end up with a flavorful sauce along with your chicken and veggies here, so can optionally serve everything over cauliflower rice to keep the meal low carb -- or over regular rice, if you're not counting your carbs. This looks delicious! I just wanted to mention how helpful that picture is of all the ingredients sitting on your counter. I can quickly “picture” what I have or don’t have already in my fridge in pantry. 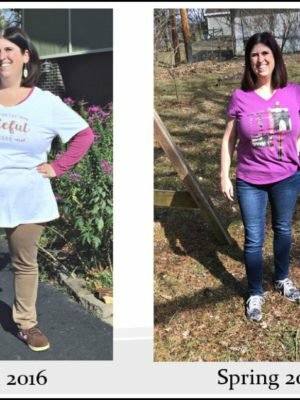 I’ve noticed it before but forgot to say thanks! Thanks! I try to include it when I can because I feel the same way when looking at recipes. But sometimes the recipe in my head ends up with so many scribbled notes, changes, additions, or deletions as I taste things and see how it comes together, that the ingredient photo I originally took isn’t right and I can’t use it, lol. Hi! 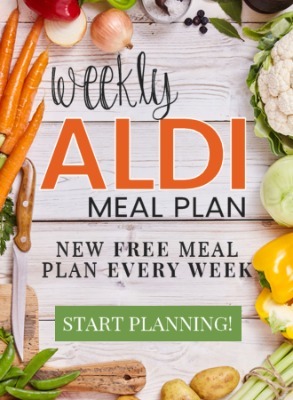 My family has been using your aldi dinner plan since last week, and can I just say THANK YOU so much! 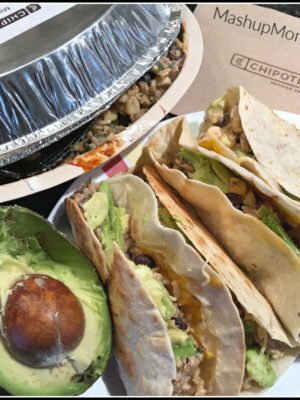 We have never eaten better for so cheap! This particular meal is amazing! I omitted the mushrooms and added a romaine and tomato salad and wild rice I had lying around. It’s so good! I can’t wait to have it again! 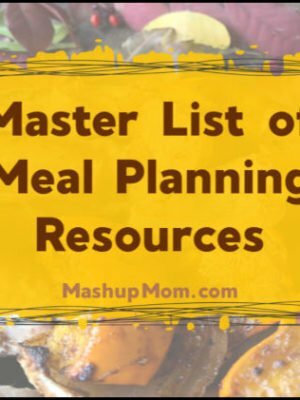 Thanks again, you’ve saved our family dinners and our budget! This was the best meal so far! We loved it!